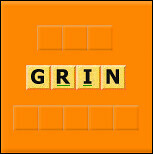 If you enjoy word games then we have the perfect game for you! In Spell Squad you get one letter at a time, and you use the letters to build words. Longer words are worth more points! Each time you play you'll be in a room with up to four other players. Each player has their own game board to work with. 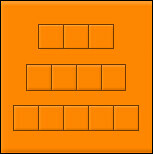 The game board has three rows of boxes, and the number of boxes on each line will never change. It will always be three, four, and five boxes! As lovely as these rows are, you'll want to fill them with letters! 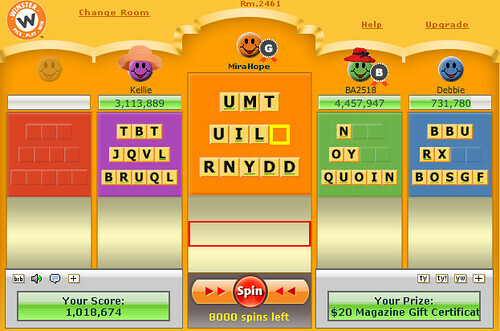 Click "Spin" or hit the Enter key to get letters one at a time. You can move letters around the board by clicking and dragging them around. Now the cool part about Spell Squad is that you can trade letters with your teammates! Click on the letter you want to trade away and drag it to the letter you want in return. Your teammate will see a Yes/No balloon pop up with a picture of the piece that you're offering. 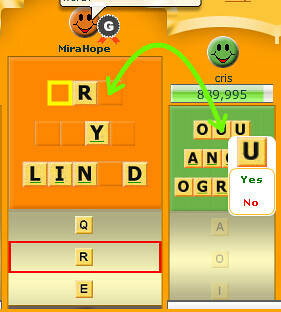 If they select "Yes" then the letters will switch places! On the other hand, if someone sends you a trade, you'll see the Yes/No balloon along with a picture of the letter that your teammate is offering. You don't have to accept trades if you don't want to, but trading is a great way to make new friends! As you know, in Spell Squad you get points for making words. The longer a word is, the more points it's worth! Now here's the tricky part: words must fit the lines completely. For example, you can't put a three letter word on the lines that have 4-5 boxes. Well, technically you can put a three letter word there, but you won't get any points for it! To make words longer than five letters, you'll have to use more than one line at a time. It sounds odd, but once you see it everything should make sense. The table below lists the points for every possible word length and provides examples of each. Remember, Club Winster members get four times the points! As you gather letters you might notice that some of them have green underlines. And when you get a new letter those underlines might change. What is it? These green lines are a clue! Every letter with a green underline forms part of one word that you can make right then and there. 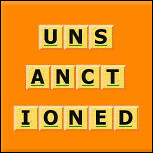 More than likely you could make several words from those letters, but if you want points you want to go big! If we rearrange the letters in the picture above, we get "octupling." It's a nine letter word, so we'll have to use it on the bottom two lines. Whenever you're stuck just look for the green lines. Somehow, someway, they'll all make one word! Unless you're already a master wordsmith, you might think that coming up with a 12 letter word is incredibly difficult. There can't be that many 12 letter words around, right? Believe it or not, in the English language there are over 11,000 words that are exactly 12 letters long! Really! The key is to remember suffixes. A suffix is a group of letters with a set meaning that attach to the end of a word. Think of "-ed" in "rounded" or "-ing" in "fighting." 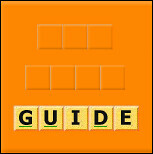 Many players build a suffix first and then try to find a word that will attach to it. In the table below there are a few suffixes and example words that contain them. There are dozens of suffixes, so please don't think that this is a full list! It's just something to get you started. Hopefully this sparks your noggin and helps you think of other suffixes to look for! Whenever you make a word in Spell Squad it's automatically submitted to Winster for points. No "Cash In" button needed! This makes for faster games, but it also means that you have to be careful when you're setting up a long word. One trick is to make a nonsense word and then switch the letters one at a time. If you accidentally make a word and it's one you never heard of, well, think of it as a way to expand your vocabulary! When you don't say "Thank you!" you may appear a bit ungrateful. It pays to be polite! That's all there is to know about Spell Squad! Get your thinking cap on and dive in!